When I cooked for my family I always made huge amounts. There were 5 of us, 4 were men and/or growing boys. Now I'm alone and have trouble cooking smaller amounts. So let's share recipes for one or two. They can be your own or ones found on the internet. Please include a link for the internet ones. Started by Grammie Sue Dec 1, 2013. Started by Trish. Last reply by Grammie Sue Dec 1, 2013. Started by Trish. Last reply by Kooner May 28, 2013. Started by Trish May 24, 2013. You need to be a member of Food & Cooking For 1 Or 2 to add comments! Crissy I was wondering how you are doing with your husband's diet. Are you making progress in finding recipes for such a restricted diet? 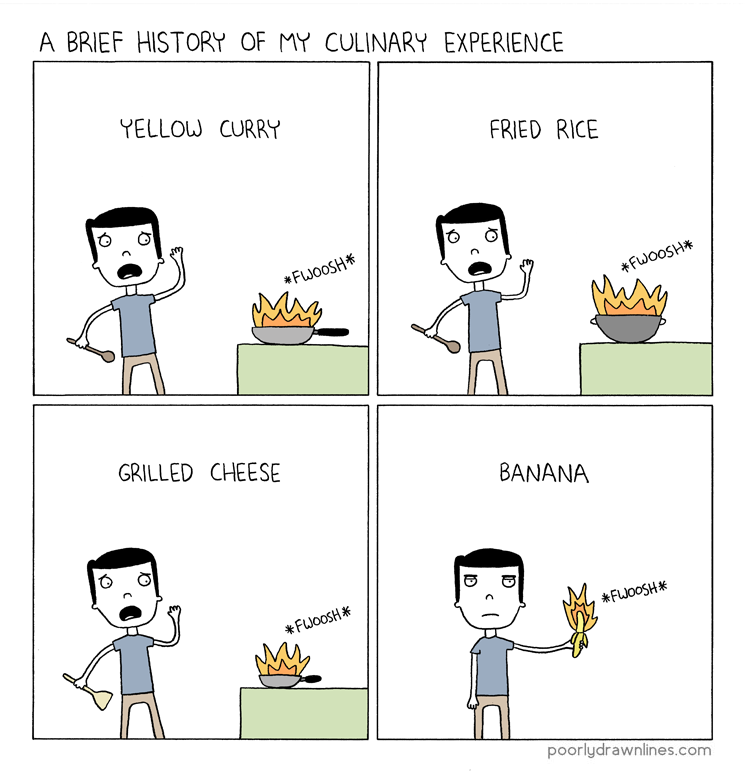 I have been cooking much more the past 5 months than I have in a very long time. I need some help. It is hard to cook for just two people. I want to make a lot of food and then we get sick of eating it or we over eat because it's good and we have so much of it. Anyone else with this problem? Most of the time I make a protein, and starch, and a vegetable. That get boring after a while. I love casseroles and stews too but they are usually large pots. It is hard to take it down to too people. Well Easter is over and now it is time to start getting ready for Mother's Day. I am thinking of having my Sons and their families over the Saturday before M. Day to celebrate. I would love to make something easy but special. Any suggestions. I need dishes I can adapt to vegan. One son is vegan the other is a meat eater. Makes for some interesting meals. MY HUSBAND WAS RECENTLY DIAGNOSED WITH A RARE KIDNEY DISEASE. THE ONLY FOOD HE CAN HAVE IS FOOD WITHOUT SODIUM AND OXALATE. NO BEEF, CHOCOLATE AND ALL THE GOOD STUFF. I HAVE A FEW GOOD SITES BUT IF ANYONE CAN TELL ME ANYMORE IT WOULD BE SO HELPFUL.HIS DR AND A PLACE UPTOWN WHERE PPL GO FOR DIALYSIS HAS GAVE US INFO. THANKS!HUGS. 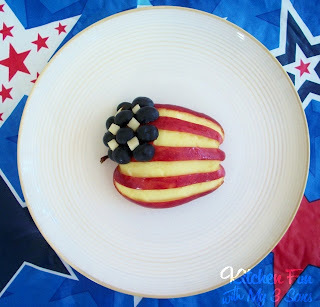 Red, White, & Blueberry Apple Snack! A single serving of pasta is generally about two ounces, but it's tough to measure properly without a kitchen scale. If you have a 20 ounce soda or water bottle handy though, you can get a pretty close approximation. All you have to do is start filling the bottle with uncooked spaghetti. Once you can't easily fit more noodles through the top of the bottle, you have roughly two ounces, maybe a little more. 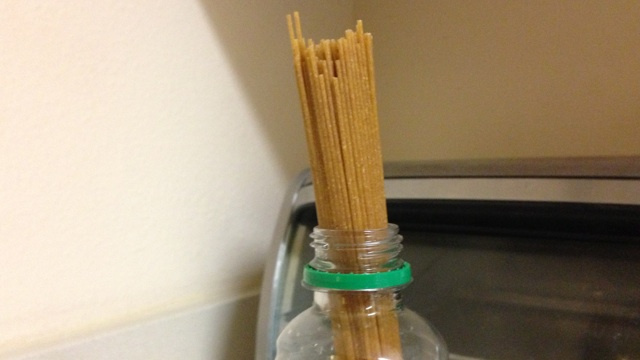 If you like this trick but don't want to keep an empty bottle laying around, you could just cut off the top and stash it away in a drawer, or pony up for the previously-mentioned, but still awesome Spaghetti Measure. I really kneaded a pair of loafers but something went a-rye and I couldn't raise the dough!